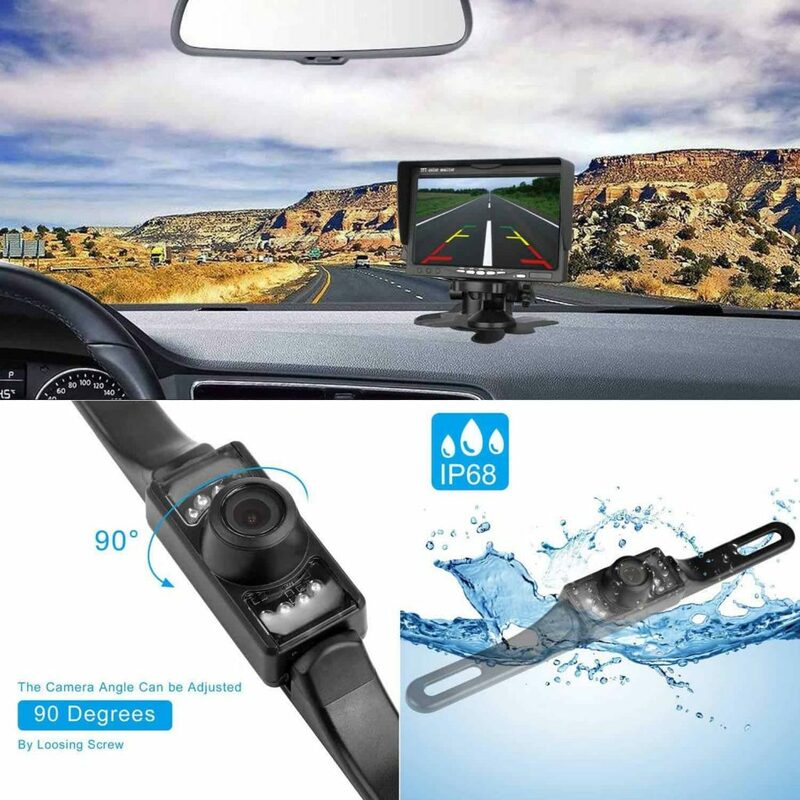 Rear view camera technology is a fabulous thing – no more cricks in the neck, or worrying about what you can’t see, with a camera doing the work for you. You can reverse, confident in the knowledge that your kids, beloved pets or other obstacles aren’t in the way. When buying one of these handy pieces of kit, what do you need to think about? Field of vision is a good place to start. 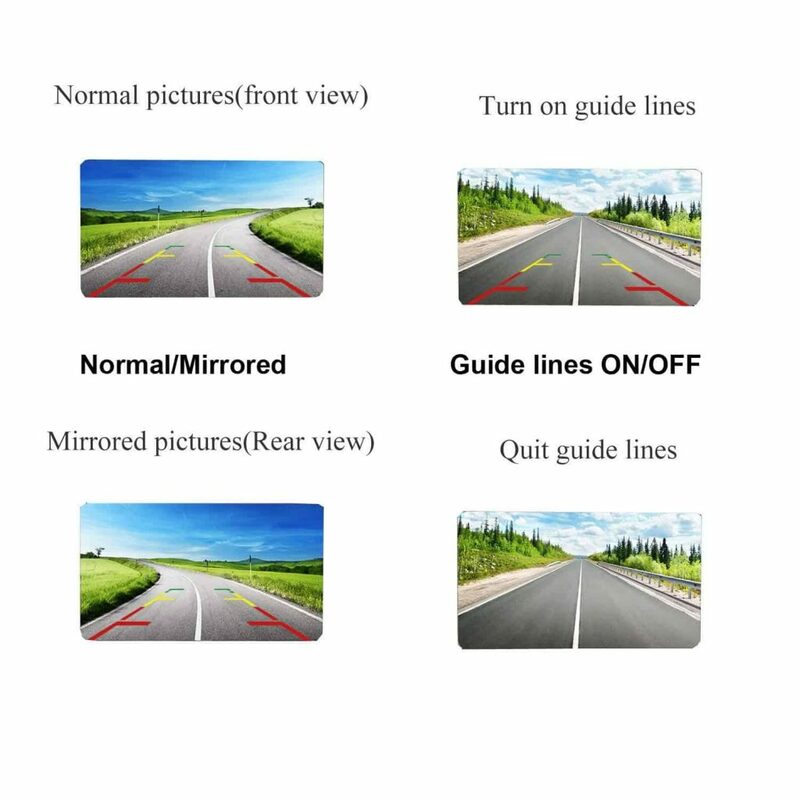 This is determined by a number of factors such as image sensor size and type and the lens focal length. Naturally the wider the lens, the more you’ll see behind, but have a play with various combinations to see what works for you. 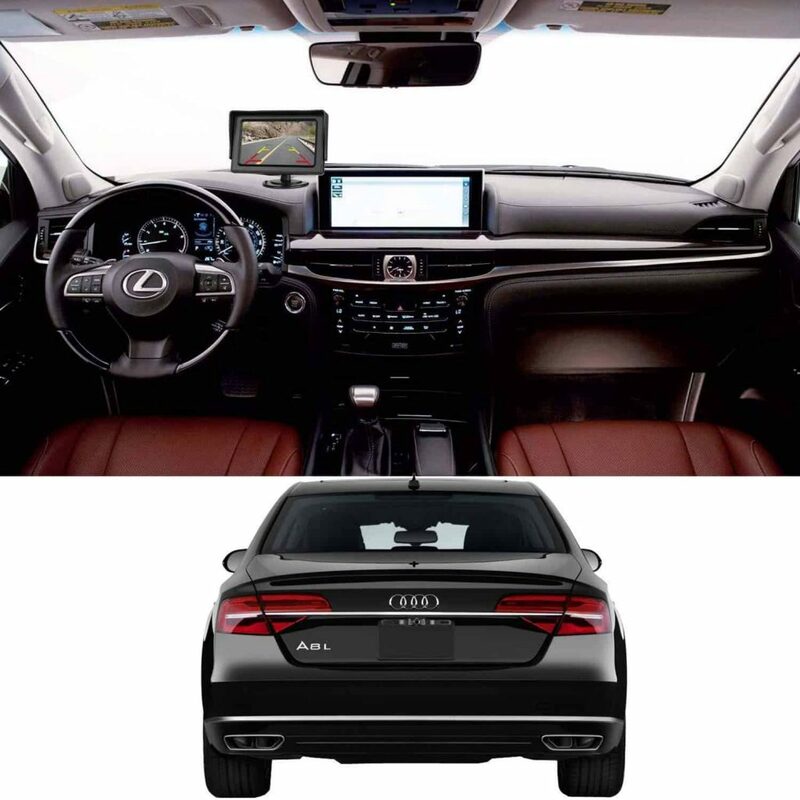 The type of monitor is also important, with most being LCD (liquid crystal display). In terms of screen size, the larger the better – up to 10” is readily available. 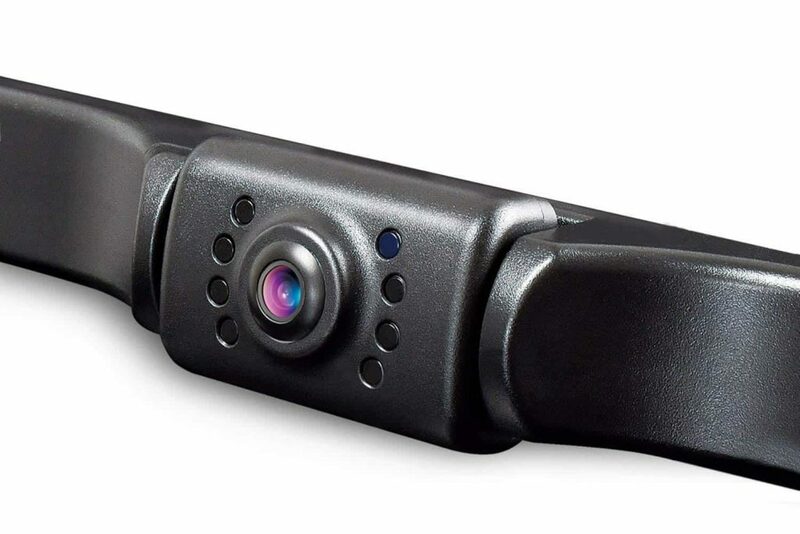 Many backup cameras are fitted with infrared night vision, giving you a workable picture even in total darkness, and this is a useful feature to look for. 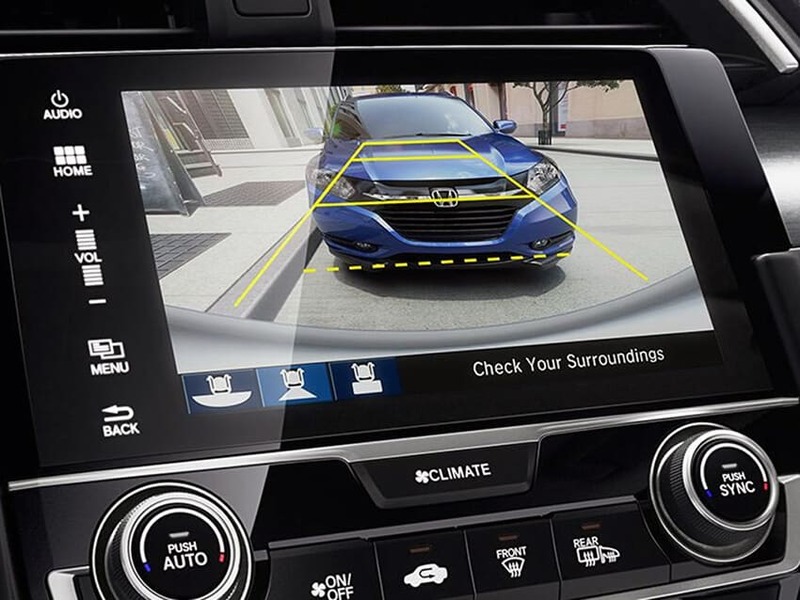 So which car back up cameras made the cut in April, 2019? 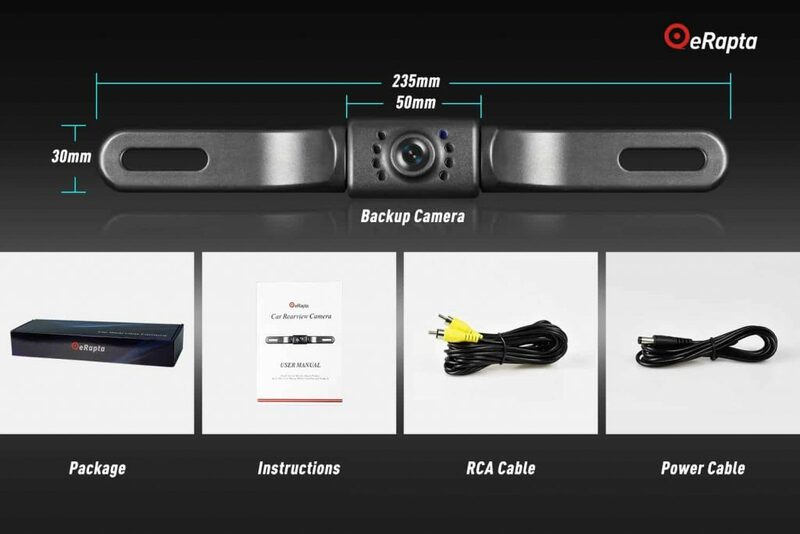 This is a good, competitively priced, easy to install camera. It comes with clear and concise instructions, complete with simple diagrams, and after a couple of minutes it was ready to go! 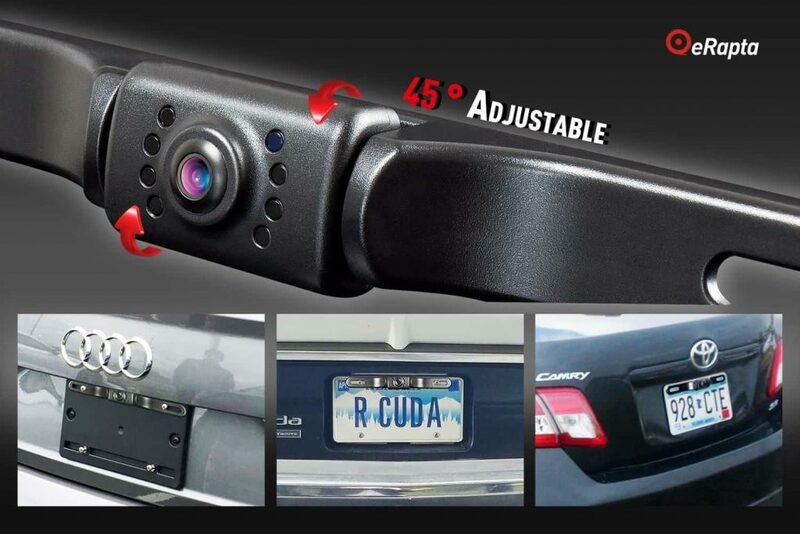 This is a straightforward reversing camera. 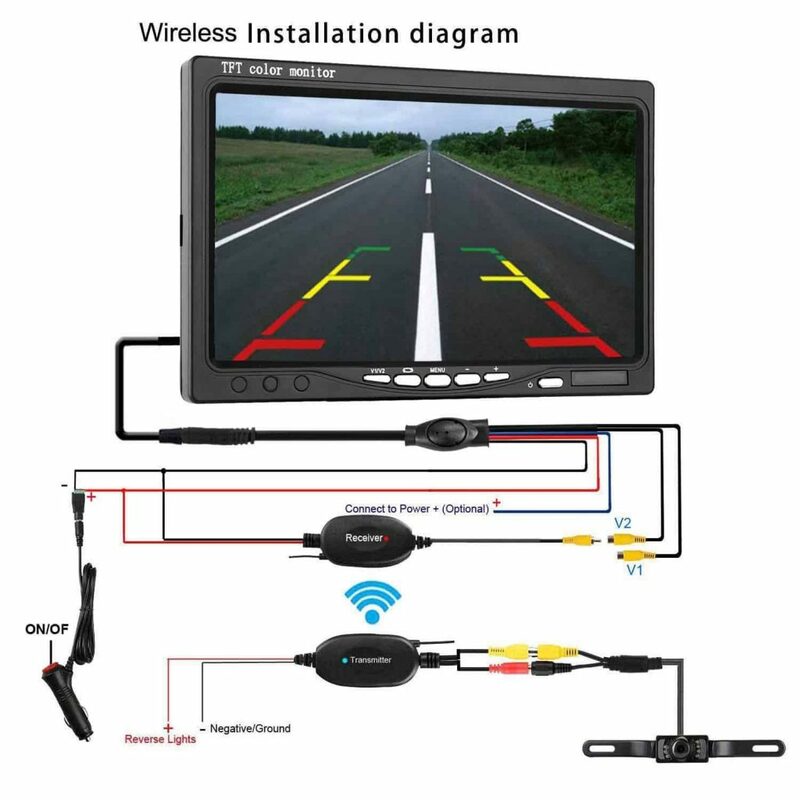 It has a good range of tilt, the wires are plenty long enough, and the vision is clear, including in low light. 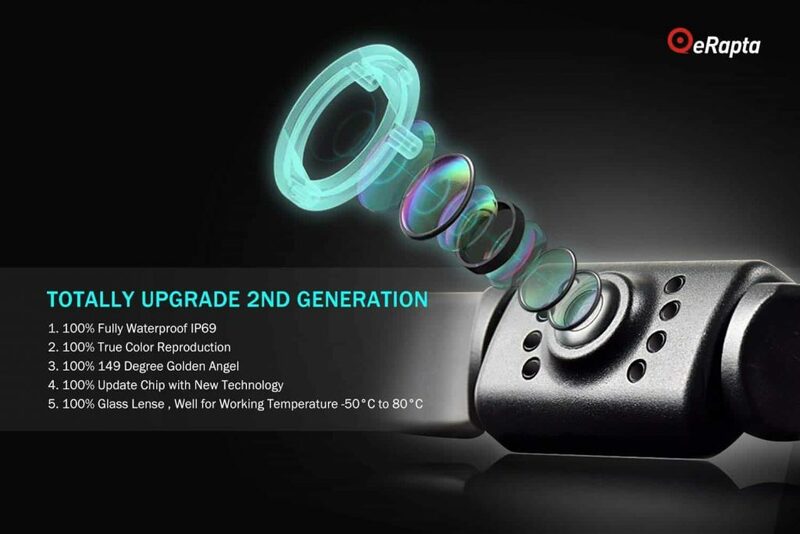 When you take its competitive price into consideration, there is nothing to dislike about this camera. My only complaint so far is that the camera should have better casing to prevent road salts getting into the electrics. This camera is neat, cheap and does the job well. 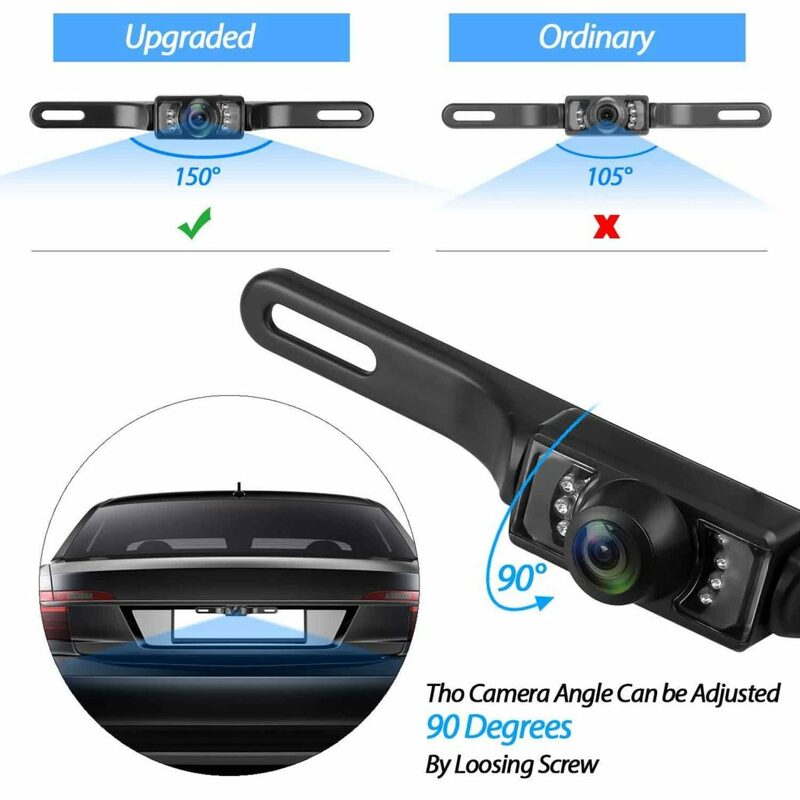 A great basic car back up camera that anyone can afford. 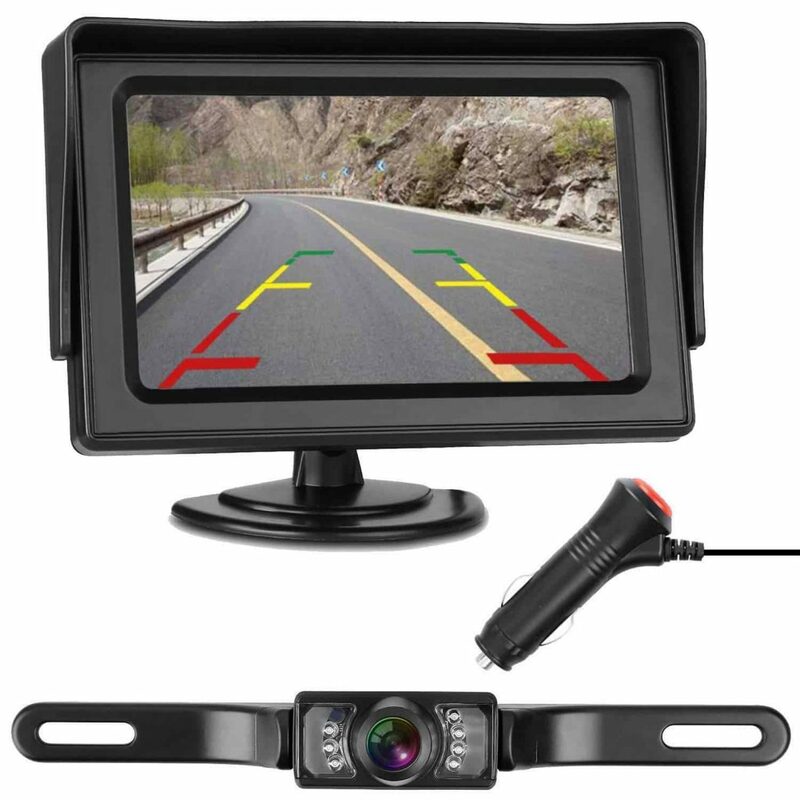 The high quality car back up camera is a professional grade device to keep your vehicle safe from knocks and bumps. 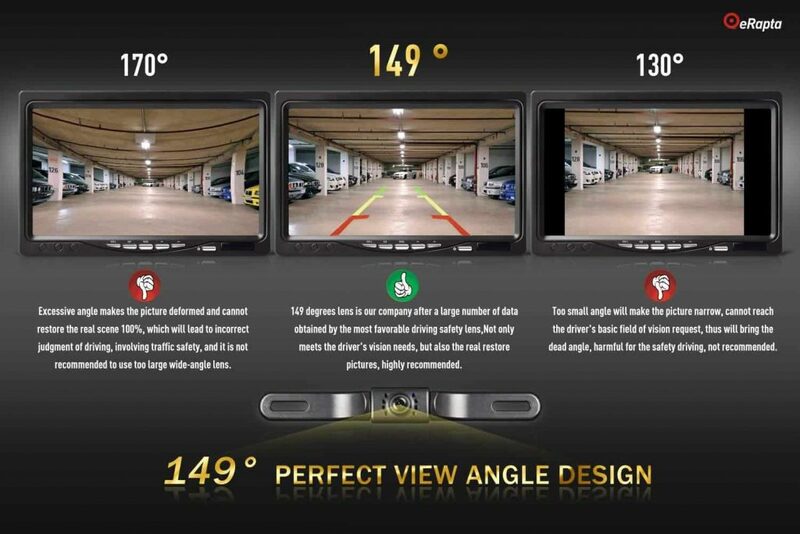 With a 149 degree view angle, this will let you park and reverse with ease. 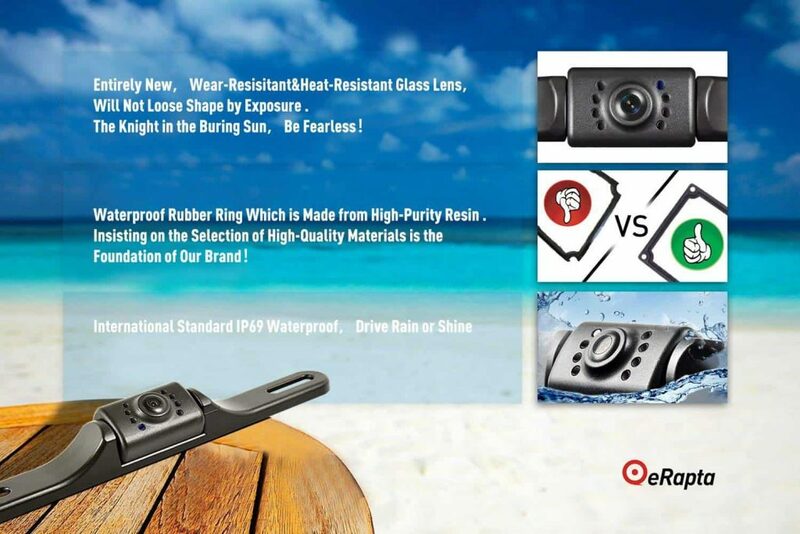 This car back up camera gives high level of weather protection, and with the amount of options for fitting, the fixtures and attachments look well made and secure. 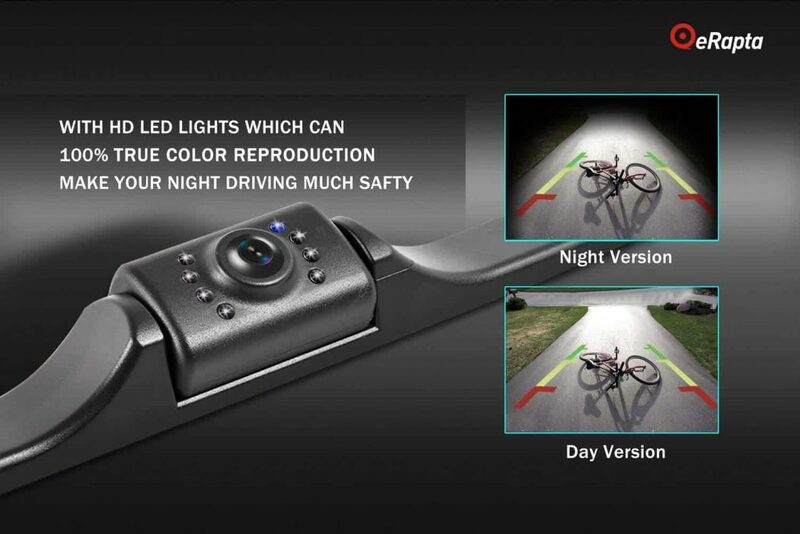 It also comes with auto LED lights that takes the stress out of driving and parking at dark. 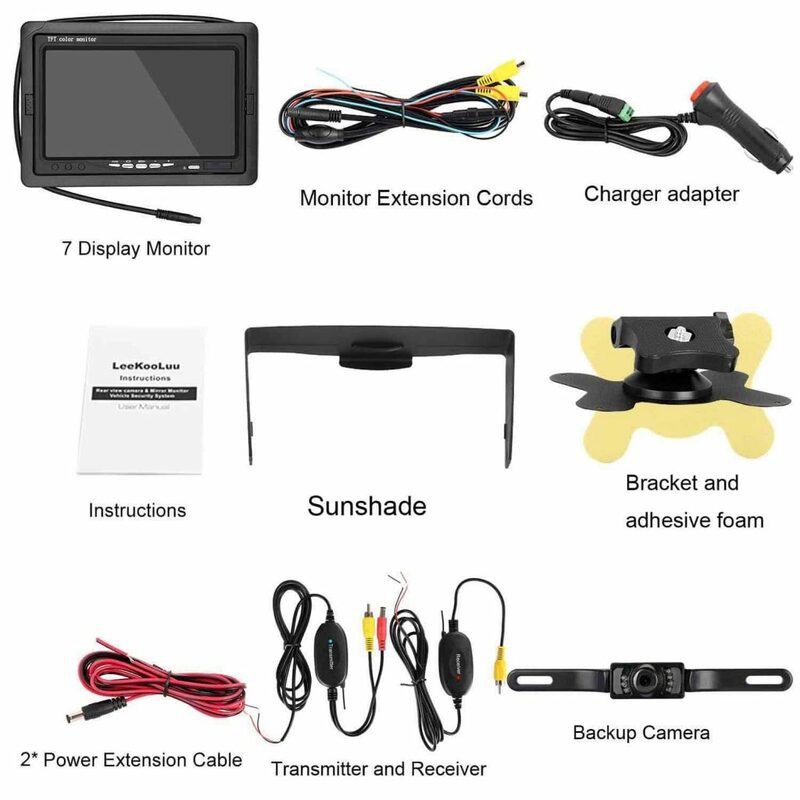 This back up camera comes with a large amount of instructions, so some patience is required for the initial set up. However, everything is logical and you should have it up and running in no time. In the last weeks, I have discovered just how good this reversing camera is. The clarity of the monitor, in night and day, coupled with the high frame rate makes this the perfect camera for reversing. I really like this, and the low price makes it doubly good. 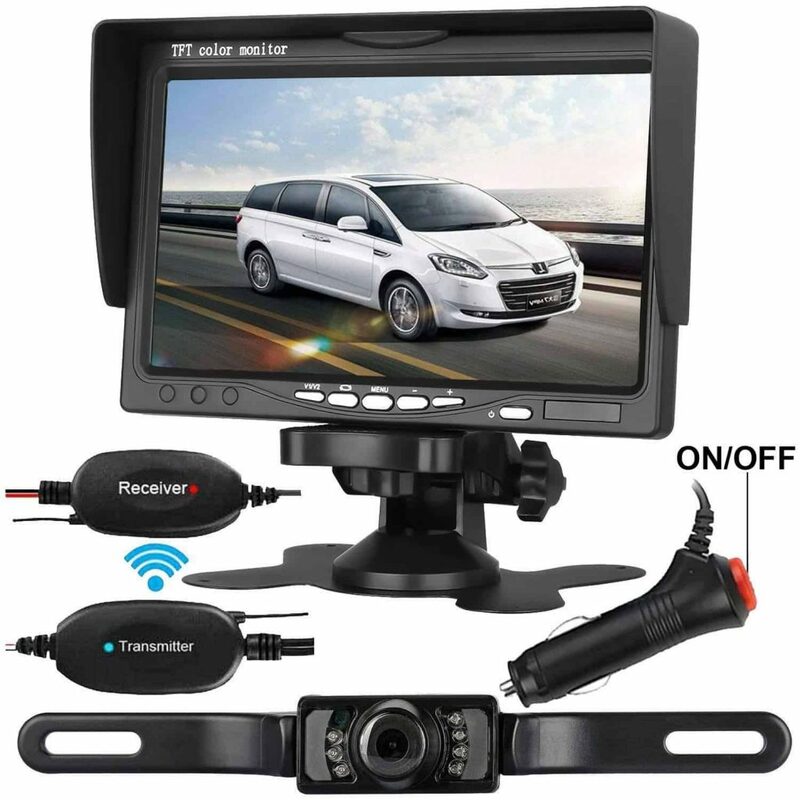 Out of the 3 best selling reversing cameras tested, this, despite the higher price, is the best in practically every way. 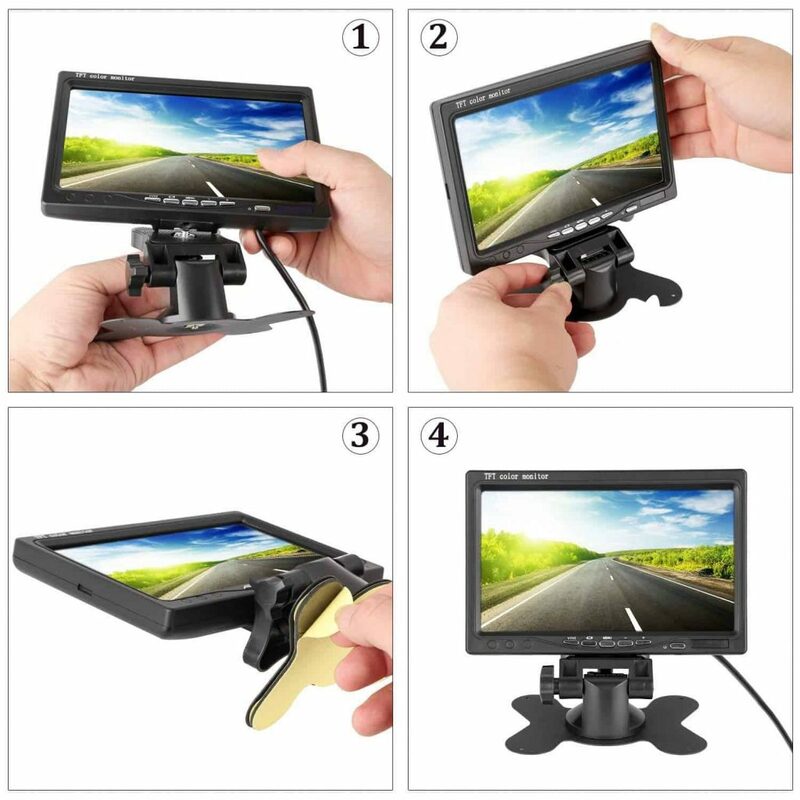 The large screen has a clear, bright picture, with a fully adjustable mounting. Push button controls make the Emmako simple and straight forward to use, and the night vision works brilliantly. The camera is easy to install, even for a novice. To be completely honest, I can’t fault this back up camera. I’ve tried, I really have, but other than reversing over the actual camera, I cannot find an issue. The Emmako was a firm favorite. 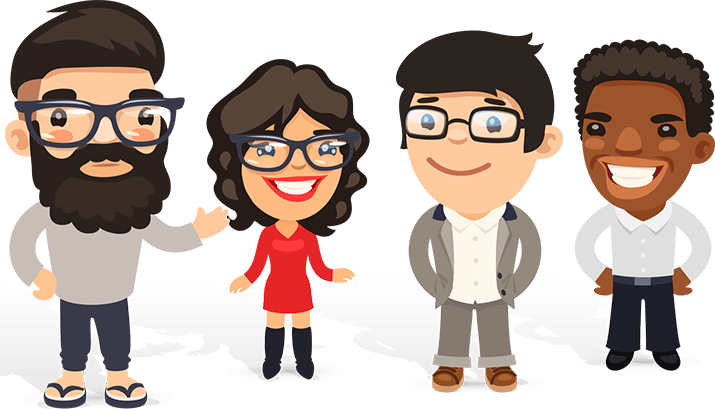 Not only is it quick and easy to configure, but using it is a pure delight. It's reliable and will last you for years. An essential product. 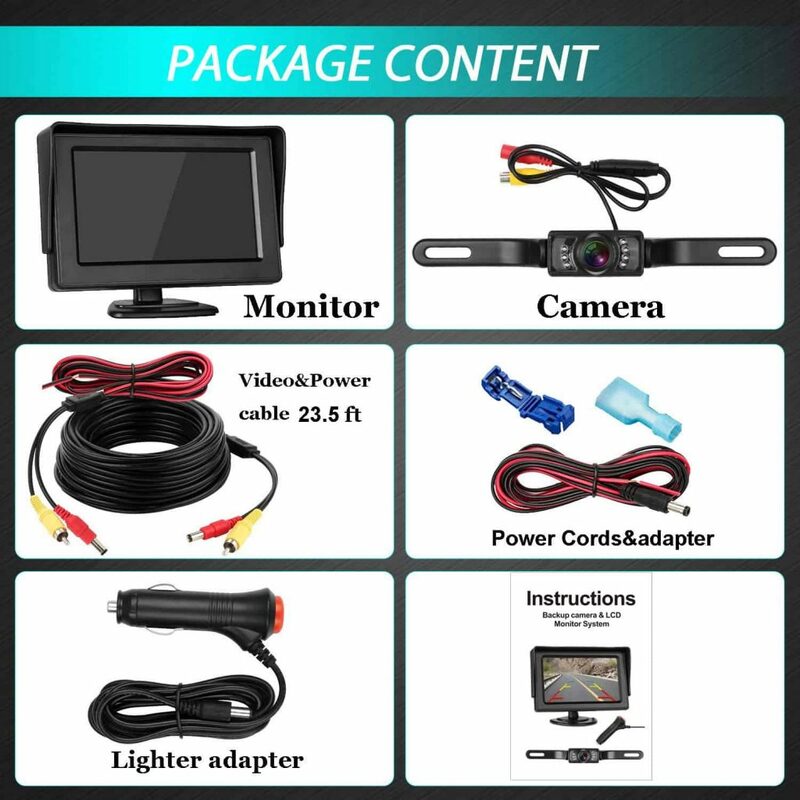 View installation video on Youtube by searching video id: 4XT9RXKoRTc The wireless backup camera is powered by connecting to reverse lights for use when vehicle is in reverse gear. 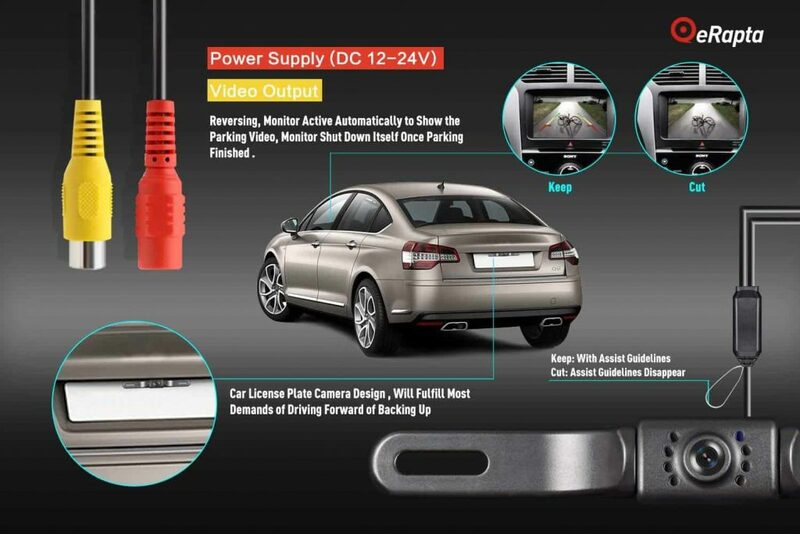 Or can be powered by connecting running lights or other continuous power source back of vehicle for continuous use.The monitor easily powered by plug to cigarette lighter(Include in package) or connecting to fuse box/ignition switch. 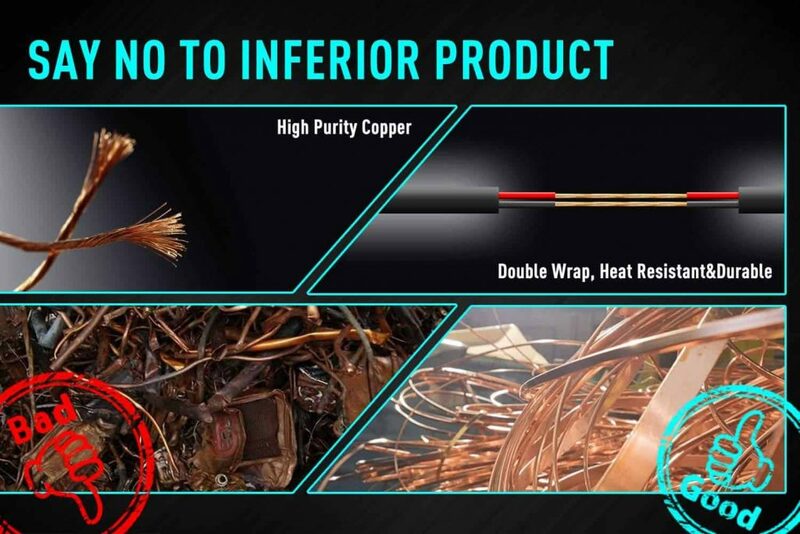 Don't have to experience the pain through the video wires from the car never.